Economic growth has exploded in Asia, and with it the demand for reliable and reputable online betting sites. As a result, a growing number of established international brands are joining regional betting sites to service the fastest growing online betting market in the world. While many international brands are licensed and regulated in European and Caribbean jurisdictions, a growing number are also opting to obtain licensing in the Philippines, which is quickly becoming an important hub for the online betting industry in South East Asia. This article provides you with an overview of how to identify a reputable betting site servicing the Asian market, and how to ensure you can confidently and securely manage deposits and withdrawals once you have selected a site at which to play. With its massive population, it is no surprise that Asia is the world’s largest betting market. However, it is also a market that is experiencing rapid change, making it even more important for sports betting fans to do their homework before making a deposit. Asian betting sites focus on a variety of different sports depending on what regional or national markets they are serving. While international and European soccer is universally popular, betting sites serving national markets also focus on national or regional leagues, with comprehensive coverage of local events. In Japan and Korea, for example, baseball is enormously popular, while in India, cricket is a national obsession. Sports like golf and tennis are also covered. While North American sports leagues do not enjoy the same level of coverage as they do in Europe, major international brands operating in Asia provide comprehensive coverage of NFL football, Major League Baseball, NBA basketball and NHL hockey. A selection of betting options is available for all major sports including three-way betting, handicap betting and total goal betting. Futures and props wagering, as well as Live In-Play betting are also available for major sporting events. Coverage of horse racing on Asian betting sites is limited compared to their European and British counterparts. However, most international brands fill the void with daily coverage of races at tracks in the UK, Europe and North America, as well as in-depth coverage of major racing events. Reputable Asian brands also offer deposit bonuses and promotions to encourage players to try their luck at online casino games. With the rapid growth of the online betting market in Asia, it has become increasingly important to ensure you choose a legitimate site that accepts deposits in the currency of your choice. Historically, the Asian market has been serviced by a patchwork of brands meeting the needs of specific regional or national markets. As a result, betting sites have been typically regulated by local or national authorities. The Philippines have emerged in recent years as one of Asia’s most preferred jurisdictions for the licensing and regulation of online betting sites. A growing number of reputable international brands have established operations in the Philippines, taking advantage of the country’s rapidly developing infrastructure and commitment to growing the industry. A number of Asian countries are also in the process of developing policies on online betting for the first time, laying the foundation for improved regulation of online betting sites across the continent. Many reputable international brands service the Asian market while operating offshore. These sites are licensed and regulated by authorities in the country in which they are based. But even with a license from a recognized online betting regulatory body, there is no guarantee that a betting site will adhere to ethical conduct. To protect yourself, it is wise to select a betting site that has a long track record of success and ethical conduct. The industry’s biggest and best brands earned their good reputations through a commitment to hard work over many years. Brands engaging in unethical practices typically do not stay in business for long. It is also makes sense to research a brand’s customer service and gambling policies. Ensure that the site’s customer service group can be easily reached, especially to discuss issues about a deposit or withdrawal. Multiple deposit methods are made available by reputable Asian betting sites. The most popular method available is to use a service that facilitates money transfers from a credit card or bank account. E-wallet services like Moneybookers and AsiaPay88 enable secure and reliable transfer of funds from bank accounts and credit card accounts, respectively. Reputable international brands may also accept deposits directly from credit cards like Visa and MasterCard, depending on your geographic location and the country of origin of your card. Once you have had a run of good luck and smart bets, there are multiple methods for making withdrawals depending on the site you are using. It is most common that the method you used to make a deposit will also be the method for making a withdrawal. If you made a deposit by bank transfer, you will receive your withdrawal by bank transfer. If you made a deposit from your Moneybookers account, you will receive your withdrawal using that service. 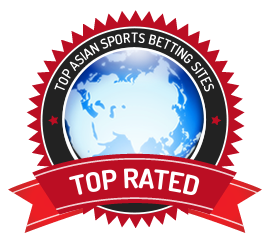 Asia is the world’s fastest growing sports betting markets, with many reputable brands providing comprehensive coverage of both local Asian sports, as well as the world’s biggest sporting events.